Im sure in the last year you have heard the term Ombre. It literally means gradation of color. Or according to Wikipedia, it could mean: a trick card game involving three people. Who knew? Well, according to some, the ombre trend has come and gone… but I think it will remain popular for a while longer. 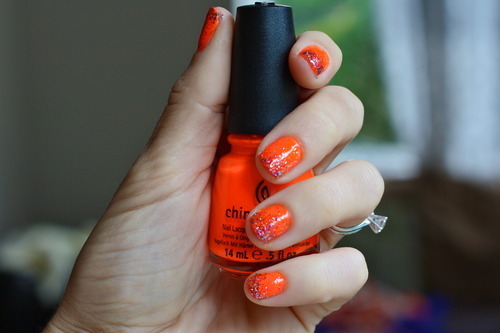 Since my favorite color is orange, I thought what better way to polish off my orange manicure than with a “glitter ombre” look. It was so easy I just had to share! Top Coat: I prefer OPI Top Coat. It seems to make my manicure last the longest.. and helps seal in all your hard work! First: Do two coats of a base color of your choice. 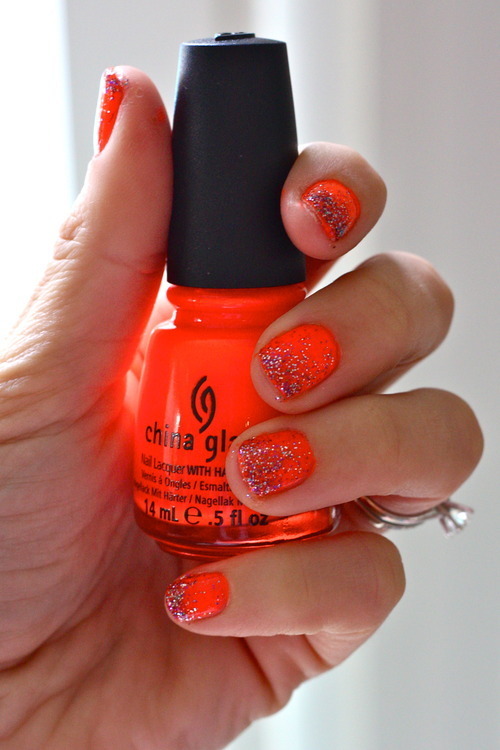 In this case I used China Glaze in Orange Knockout. Let dry. Second: Do a thin layer of glitter polish. You want the sparkles few and far between. Let that first layer of glitter dry. You can always add more later! Now layer on more glitter! Apply it from the middle of the nail down to the tips and then add a little more just to the tips. 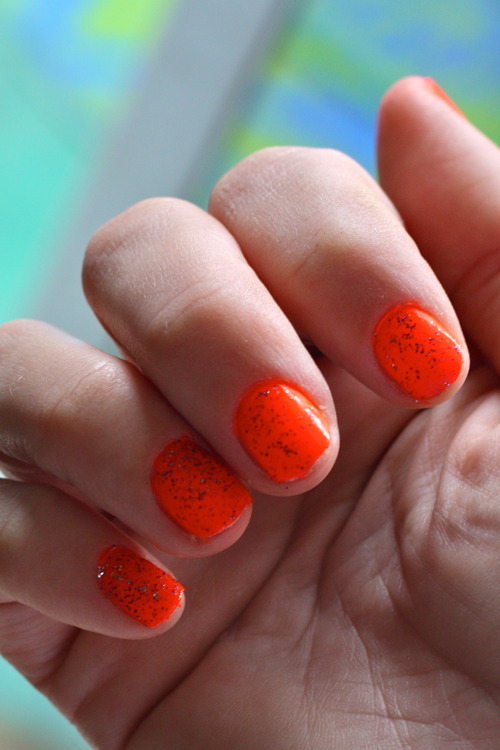 If you add more glitter to the rest of the nail, be careful because it will not be gradient color, it will look like the whole nail is covered in glitter. Finish up with a top coat. And viola!